My sister was recently called as the Primary President in her ward. 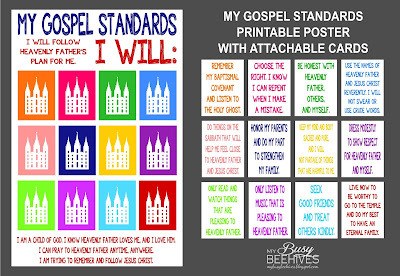 They have been reviewing the My Gospel Standards poster each Sunday as part of sharing time. She wants to discuss one standard each month, and she needed something that was very hands on so the kids could participate more fully. She enlisted my help and I designed this poster for her. 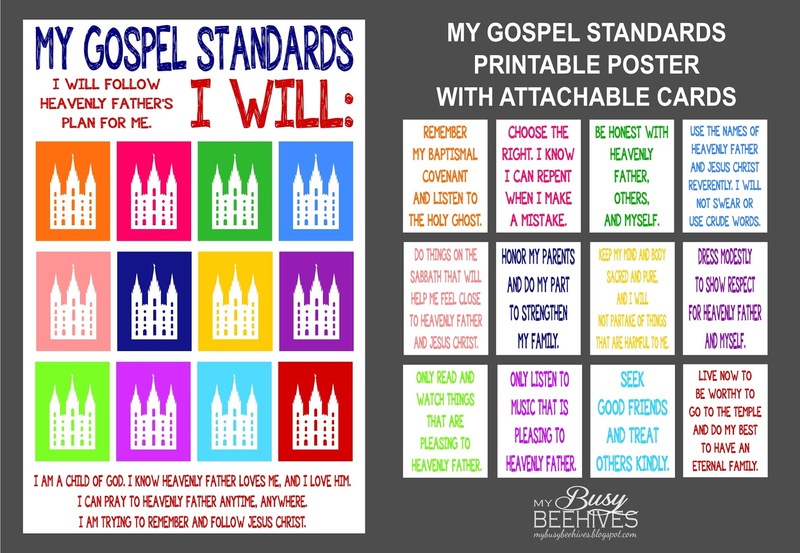 Each month the kids can attach one of the standards over the temple square on the larger poster. When they are all done the complete poster will list all the standards. First we did our homework and found out what was the largest size poster we could reasonably have printed. We found that Staples can print things on engineer sized paper or large-format sized, which is 24x36 inches. Perfect. I formatted the design to fit. Then I figured out based on the design of the large poster, how big each little card needed to be. Each standard card is 5.25 x 7in, which is kind of an off size, but since we printed the cards at home on card stock (cheaper than having Staples print them) I just cut some card stock to that size and ran it through my printer. Here's the files if you want to print your own! You're Welcome!